SINGAPORE, Jan. 16, 2019 /PRNewswire/ -- As the global threat landscape continues to increase in size and complexity, so does the number of add-on security solutions designed to address these challenges. In response, enterprises around the world are turning to network solutions with built-in security. Today, CenturyLink, Inc. (NYSE: CTL) unveils its eighth global security operations center (SOC), offering customers in Asia Pacific greater ability to predict, protect and respond to internal and external threats with CenturyLink's network-based security solutions. "Our goal at CenturyLink is to make security simple for today's digital businesses," said Chris Betz, chief security officer for CenturyLink. "By embedding security into the network, customers have access to secure networking solutions powered by our expansive view of the global threat landscape and our proactive approach to mitigating threats on the global internet, without the need to manage additional add-on services." 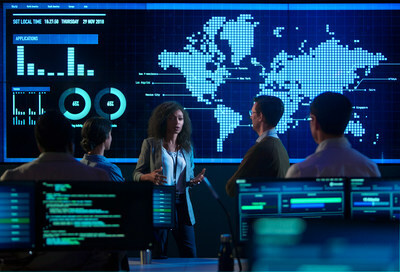 CenturyLink's global SOCs provide customers with always-on management of the company's robust suite of advanced threat prevention and detection solutions, including custom threat intelligence derived from its extensive global IP network, cloud-based firewalls, DDoS mitigation and security log monitoring.